Haindl draws upon his knowledge of ancient cultures and his experiences with Native American life to create a unique deck that is a colorful and penetrating study of nature and spirituality. The Haindl Tarot Deck relates the spiritual traditions of many cultures to human experiences and to the sacred wonder of our Earth. The captivating artwork of the Haindl Tarot is non-traditional, yet the deck does follow the structure and meanings of the familiar Rider-Waite-Smith deck for the most part, with some references also to the Thoth Tarot. Each Major Arcana card shows kabbala, rune, and astrology association. 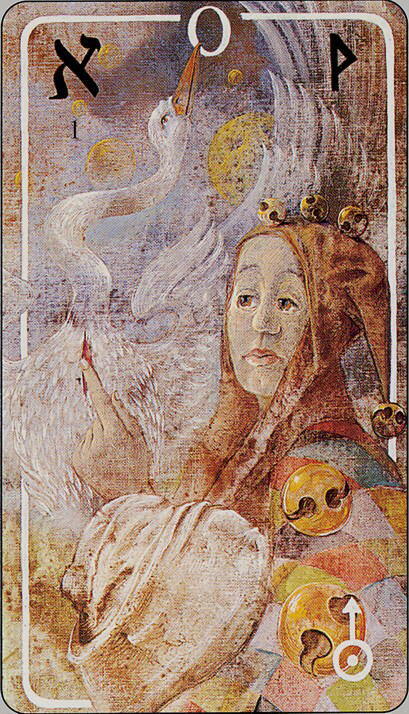 In the Minor Arcana each court card is represented by a deity. The four suits are Wands (Hindu Mythology), Cups (Celtic and Norse Mythology), Swords (Egyptian Mythology). and Stones (Native American Mythology).